Jim was on the Wrestling and Track Teams during his Plebe Year. During his last two years he was on the Cadet Ski Team and was Captain of the Team during his First Class Year. 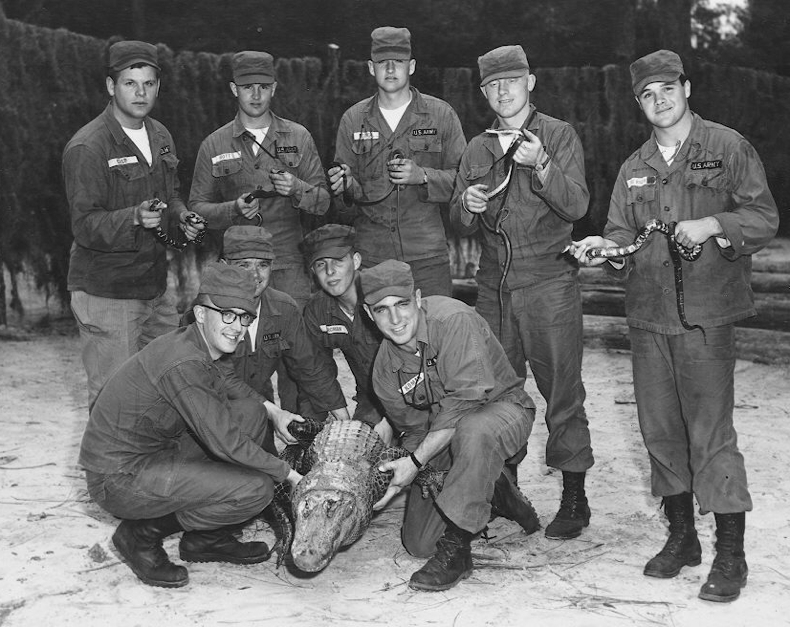 From left (standing) are Mike Casp, unknown (ROTC fellow), Denny Reimer, Dave Mundt and Mac McRae; kneeling are unknown (ROTC fellow), “Don Street”, “Tod Bergman” and Jim Heldman. This entry was written by forwhattheygave, posted on November 11, 2009 at 2:12 am, filed under Army Greats and tagged 1962, Track, Wrestling. Bookmark the permalink. Follow any comments here with the RSS feed for this post. Trackbacks are closed, but you can post a comment.